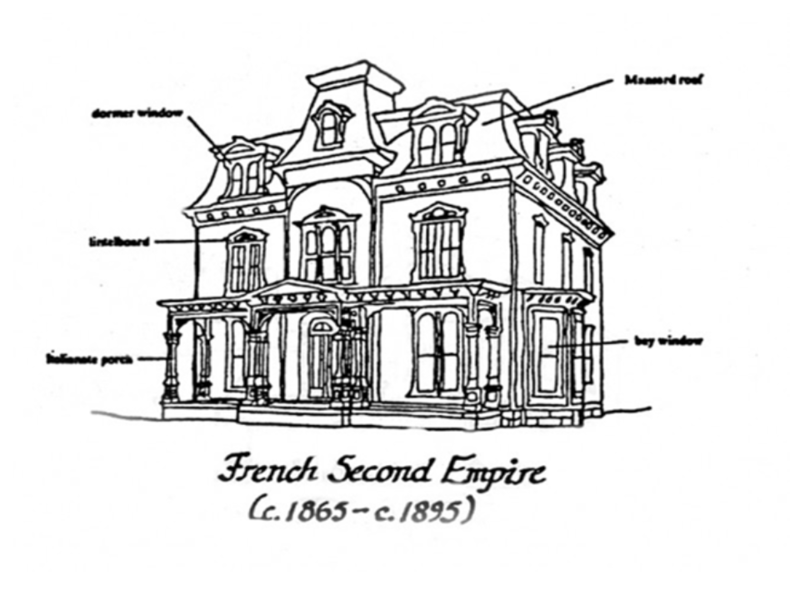 The Victorian style called Second Empire is named for the Second Empire period in France under Napoleon III. It is identified by a mansard roof, named after its creator, François Mansart (1598–1666) and his great nephew Jules Hardouin-Mansart (1675–1683). 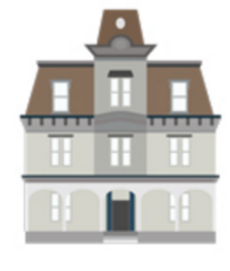 The mansard roof creates a full floor sized attic dotted with prominent dormer windows to allow light in. 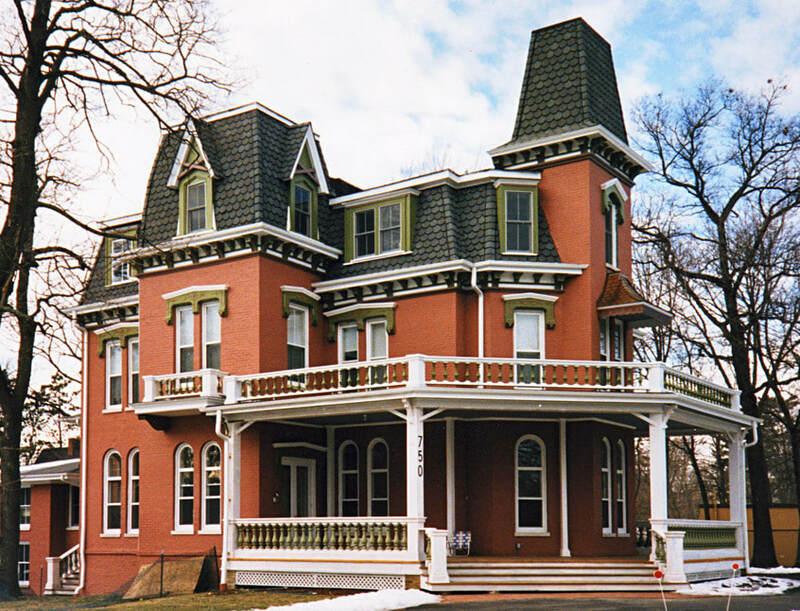 The style appeared in America after the Civil War in a modified version which usually consisted of an Italianate style topped by a mansard roof. These houses are usually 2-3 stories and are in the shape of a symmetrical square block. Second Empire architecture became popular in the United States for government buildings to the point where it was often referred to as the “General Grant” style as it took shape during his two terms as president. When used on public buildings it was often heavily ornamented with classical details. Columns and pediments gave the buildings a busy feeling. Columns were rarely more than one floor high, but often stood stacked, one on top of another, like layers of a wedding cake.The French used the term “horror vacui” or a “fear of open spaces” to describe this lack of plain surfaces.